The Maoist Insurgency has been born out of long periods of social discontent, economic hardships and state apathy towards the neglected masses. Anti-Maoist operations have to be based on a strong political will, aggressive anti-guerrilla tactics and economic and social development of affected areas to win back the confidence of the people. A common perception is that in these operations, the role of air power is normally overlooked. History differs and tells us that air power has been used extensively to quell past insurgencies. This book explores the nature of insurgencies and air power lessons from past insurgencies. 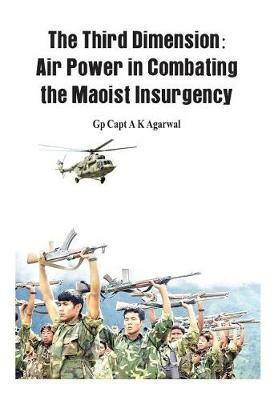 After analysing the Maoist insurgency, the employment of air assets in supporting the security forces is examined.